SMARTePLANS® does not depend upon photography to show the property; the SMARTePLAN floor plan drawing and linked Amenities text is complete and can stand alone without any photography. 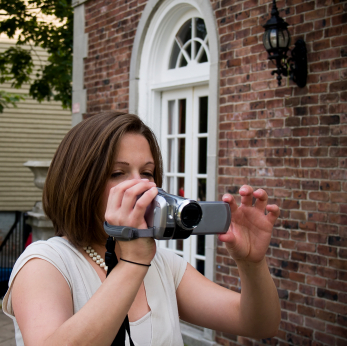 If your client does NOT want their home photographed, you are pretty much out-of-luck with a virtual tour/video. Does not involve “motion” of the image which makes many people dizzy; and some viewers find it difficult to master the viewing controls on virtual tours … speed and direction. Reviewing the property is self-directed; the viewer CHOOSES what visuals they want to see and the order they want to see them instead of being held captive to the pre-formatted agenda of the agent who shot the video. Does not require a voice-over describing the property (which can sometimes be annoying … and may have to replay it several times in order to obtain and absorb the information). We draw to scale.. so if you need to know the length of the wall in the Dining Room, between the two French doors, to see if your china buffet will fit – we can tell you our measurement for the length of that wall. A virtual tour /video can only show you what is “there”, we can show you what the space “can be” … for example we can ghost in exercise equipment and create an exercise room; or ghost a pool table into a Game Room, or a grand piano in the Foyer to give scale to the room and let you know they will “fit”; virtual tours don’t do this. A virtual tour/video will not show you what’s “hidden” like an elevator shaft between floors, and whether its already been wired and blocked by the builder or former owner for a future elevator. Touring the property is intuitive, viewers know “where” they are on the property at all times. Viewers can see the whole layout of the property and are able to view the rooms in relationship to each other and also clearly see intangibles like “flow” for entertaining, or areas with cross-ventilation and breezeways, etc. Photographs are viewed in relationship to the drawing, so now all the photos MAKE SENSE — instead of wondering “Just what the heck am I looking at?” —-as photos speed by in a slide-show set to classical music. ALL SPACE is visible, even the inside of closets and under the Kitchen cabinets which are never seen in a virtual tour. We tell you the dimensions of each walk-in closet and its organizational components .. right down to how many shelves in the shelf towers; how many drawers in the chest of drawers and how many double and single hanging bars are in the closet. COMPARING more than one property and its features, finishes and attributes is more quickly, easily (and confidently) accomplished. Makes a great map as they tour the property. People often tell us they like to have materials they can hold in their hands and use for note-taking while onsite; you can’t do that with a virtual tour.